Familiarity has not bred contempt for the Saints, as they have scored 45 points in their last three games at home in front of an adoring fan base that can help make life miserable for the opposition. Last weekend’s dismantling of the Lions was a bit roughshod but accomplished it’s purpose. Life in the Luxury Suite officially ends Saturday afternoon in San Francisco, where the right to play in the NFC Championship is on the line. A promo on the 49’ers website says Wear Red, Get Loud. Saints’ trainers should pack plenty of Advil. The 49’ers present more matchup problems for the Saints than ballyhooed Green Bay. Their defense is among the league’s best, far more physical than most New Orleans has seen, particularly lately, and the Saints may be all out to score in the high 20’s. San Francisco’s defense resembles Baltimore’s, who the Saints did not look very will against when they visited there in 2010. Raven head coach John Harbaugh will be sharing film room secrets on the phone with his brother Jim, who makes the calls for the 49’ers. Former Saint and 49’er center Jonathan Goodwin will also be passing along what he can. As difficult as it will be to run on them , it is a necessity to some extent, so Drew Brees does not have too many 3rd and longs to look at. The Stones of The Saints offensive line is on call, not only to protect Brees, but to provide some creases for Pierre Thomas, Chris Ivory, and Darren Sproles. Swing passes to the running backs could ward off the pressure that will come. If #43, Mighty Mouse, has a good day, on the ground or in the air, it’s likely the Saints’ offense will. The good news is that the weather is anticipated to be reasonably good, making the main challenge for the Saints in these environs having the right size cleats screwed on to maneuver across the uneven sod of old Candlestick Park. The place is rickety, a little surreal, and watching a game there for visiting fans with a hangover is not recommended, as the hoards from the redwoods gag Niners! during the entire contest. There is no such thing as a time out for Saints fans in Candlestick. Got any Advil? In search of a pre-game angle, some stuff in the media was floated about some animosity among the teams’ coaches from the first exhibition game here, when the Saints blitzed mercilessly. That some gentlemen’s agreement was violated, or the like. For goodness sakes, the 49’ers will be motivated by plenty other than whatever transpired from pre-season. When head coach Jim Harbaugh decided to leave Stanford for the NFL, he had options where to go. His decision was swayed by what was on the depth chart in San Francisco, more than just staying in the Bay Area. They have a stockpile of talented players, high draft choice types, seeking success they haven’t yet attained in their careers. Running back Frank Gore has quietly been one of the league’s best for several years, whose power and speed resembles Steven Jackson and Ray Rice, who have given the Saints headaches. Tight end Vernon Davis is a beast, and no doubt has some envy for the type of happiness that Jimmy Graham has had with New Orleans. Michael Crabtree is a fledgling wideout, as is Tedd Ginn, Jr., who was given up on by Miami, but is dangerous as a returner too. Quarterback Alex Smith played with Reggie Bush in high school, and wants his career to resemble Jim Plunkett’s more than Jamarcus Russell’s. Harbaugh has been his savior. On defense, Patrick Willis out of Ole Miss is as quick and good a linebacker as there is in the league. Defensive tackle Justin Smith is an older player making all kinds of noise against offenses. The deeper the playoffs get, the more fundamentals and physicality matter. Inevitably Sean Payton has been reminding his players of this in meetings, goading them into thinking the 49’ers feel they have that upper hand as motivation. There is less and less a margin for error for things like missed tackles, penalties, and turnovers. 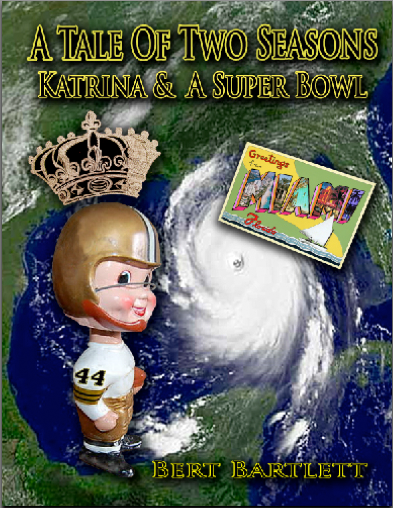 All in all, New Orleans has quite a challenge on their hands Saturday, but one has to believe the Eleven Saints have not peaked yet. For longtime Saints fans, this game is role reversal from the Jim Mora era, when it was the Saints who had a stronger defense and had to ward off Joe Montana, Steve Young, and Jerry Rice, sometimes with success, but it ultimately was not enough. For longtime 49’er fans, they want to re-taste the wine of victory that often came against New Orleans, and have the Saints go affably into the night. Amidst the Sea Of Red, the Saints will have their supporters. San Francisco resident and New Orleans native Mick Behre (Metairie Park Country Day, Class of ’75) may possibly be leading a delegation of Black & Gold at the Voodoo Lounge. Ah yes, Marie Laveau may be in the vicinity too.